These generative art geometrics from the Gingezel™ Perfect in Plum collection with intricate patterns dominating are sophisticated combinations of purple and plum with accents of gray, beige, black, sage green, and pink. Plum Geometric 3 designer wallpaper by Gingezel makes an attractive accent wall for a gray decor. Plum Geometric 3 wallpaper available at Spoonflower. This design is not available as wallpaper. The scale and intricacy do not work for a whole wall. Plum Pixel Geometric 2 Gingezel designer wallpaper available at Spoonflower. 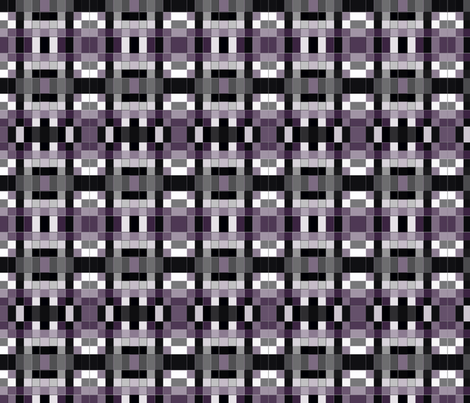 Plum Check Mosaic Gingezel designer wallpaper available at Spoonflower.